So, this morning Margaret took a walk east on the road past Knockbrex, arriving eventually at the tautologically-named Kirkandrews Kirk. She had a look-round, appreciated the Edwardian folly of building a miniature fortress church with an Arts and Crafts interior, and admired the quaint entry to the churchyard. “A lychgate,” I noted. “What’s that?” she responded. I explained the function of the lychgate as marking the separation of the churchyard from the profane world outside. “And what’s a lych?” Margaret followed up. I indicated that it was a corpse, adding that now it’s mostly known for its association with the undead. A lychgate, I joked, protects people from liches. (The best-known example probably appears in “Wrath of the Lich King”). Margaret pursued the topic. When did the conventional usage of “lych” for “body” (dead or living) drift toward an exclusively dead, then undead, sense? Wikipedia narrates the transition, but without as much specificity as we would have liked. Who, precisely, first used “lich” for an undead villain? Was it a spontaneous change, or did some author inaugurate the usage? Inquiring minds wanted to know. So we decided to look into the OED , to which I still have access through Glasgow University, provided that I perform the series of ritual incantations that assures the universe that I actually do deserve to consult the reference work and am not merely an unwashed outsider. After having undertaken these steps, having gained access to the sancta sanctorum, I discovered that the OED online doesn’t even acknowledge the undead usage of “lych.” Not only were we balked in finding its earliest usage, we could not have found out that such usage existed at all (though it admits that this entry hasn’t been fully updated). One reference page oriented toward Dungeons and Dragons cited Gary Gygax’s explanation of why he adopted the term, but that takes us no earlier than 1974. Wikipedia speaks generally about Clark Ashton Smith, Robert Howard, H. P. Lovecraft, Gardner Fox, and Ambrose Bierce. We still don}t know what counts as first use, though, and we await with eagerness the revelation of the origin of this now-common sense for the term. I don’t know about its roots, but I think you can definitely attribute its modern popularity and usage directly to Gygax and DnD. He created the lich as a powerful, intelligent, undead creature with magical abilities, who was often the leader of other undead. This is how liches are portrayed in modern fantasy writing, board games, and many, many video games. 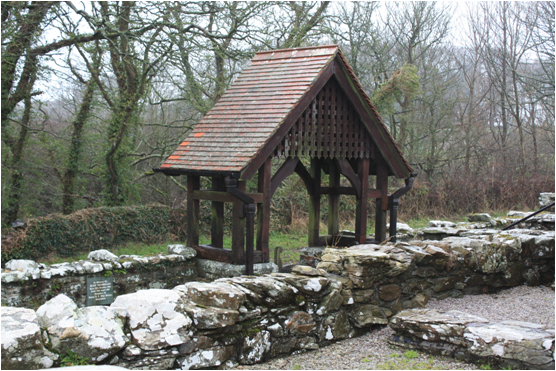 I had never heard of the term lychgate before (very cool! ), but I think if you did a quick survey of young men between 14 and 30, you’d find a large number of them know this word from games/books (at least in America).